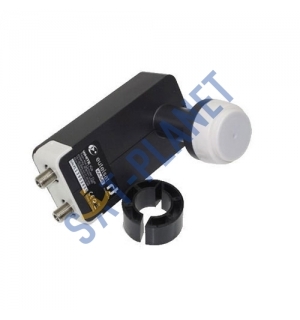 The Inverto TWIN KA band LNB is a high quality product with very low noise figure of 0.1dB giving the best signal quality and sharper picture. 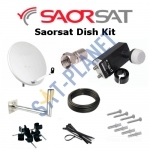 This LNB is suitable for reception of Saorsat channels(Eutelsat KA-SAT 9 E). It has a 23mm neck but is supplied with a 40mm adaptor to enable it to be fitted to standard satellite dish LNB holders. 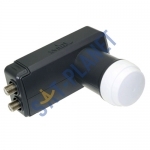 With this LNB you can receive 1080P HD channels. It comes with a UV-resistant outdoor housing with retractable weather protection. PLEASE NOTE: Must be used with a DVB-S2 HD satellite receiver and an 80cm satellite dish.